We are starting to become more aware of out impact on the environment and that’s the reason why many people decide to make their home more energy efficient. And since every contribution counts, you might want to think about doing the same. Luckily, we live in an age dominated by technology and innovation, which means finding new ways to make your home energy efficient shouldn’t be too difficult. In fact, we’ve come up with 5 ways that will help you make your home greener. Make sure you check them all out. A great way to make your home more energy efficient is to install new windows which tend to be more resistant to cracks and gaps. Windows with cracks and gaps let hot air escape during the winter, which is something you definitely shouldn’t aim at. This way, you’ll have to spend more energy on keeping your home warm, which means your energy bills will be higher. Luckily, there are new windows available on the market and installing them will help you lower your energy consumption. And if you know how to use basic tools you should be able to install them yourself. Another thing you can do if you want to make your home greener is start using a laptop. According to recent studies, laptops use up to 80% less electricity than standard desktops. They draw a maximum energy of around 60 watts, while desktops tend to peak around 175 watts. And since today you can get laptops with similar performances to most standard desktops, making a switch to a laptop seems like a great idea. A laptop may come with a higher price tag, but it’s definitely going to help you save some money on your energy bill. When trying to go green, you should always aim at lowering the temperature on your thermostat when you’re away. This is something many people forget to do, but luckily, today there are smart thermostats that will do this for you. These are usually easy to install and use. There are even thermostats you can control from your smartphone no matter where you are. 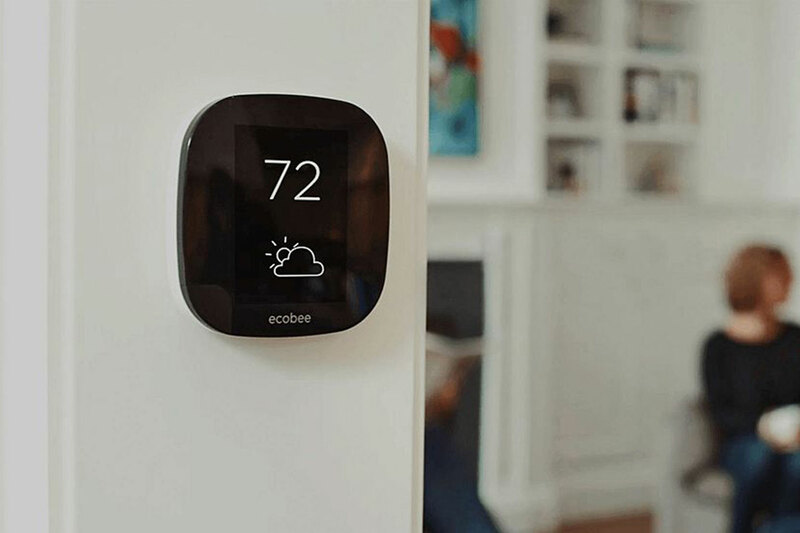 According to recent studies, lowering your thermostat during the work day will help you save between 5% and 15% annually. More and more homeowners around the globe decide to switch to skylights. This is the case because these lights, made by using cutting-edge technology, can help them save tons of money. So, if you live in a city that has a fair share of sunshine, you might want to think about installing skylights. This way, you’ll make the most of natural light which is guaranteed to help you minimize your use of artificial light and lower your energy bill. Even though space heaters seem like a great solution for keeping your feet toasty in cooler weather, using them isn’t the best idea when going green. This is the case because most of them use 1,500 watts of energy in order to keep you warm. This means a space heater can drain your energy bill if used too often. Therefore, you should try to limit your space heater use to only when it’s extremely cold. Another good idea is to replace your space heater with an energy-efficient one. Think about doing all of the things mentioned above and you’ll manage to green-ify your home in no time. The best thing about it is that you’ll save money while contributing to saving the environment.